Win tickets to the launch of Bavarian Beerhouse on August 29th! Short notice, I know – but I have a great competition for you! The lovely people at Bavarian Beerhouse, opening this week on Queen Charlotte Street, have given me five pairs of tickets for their launch party on Thursday, August 29th to give away! 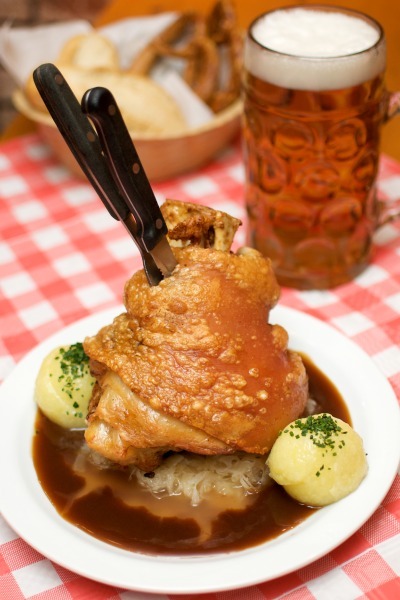 You can read more about Bavarian Beerhouse in our previous post here – but essentially, it’s a new bar (they have two existing bars in London) serving authentic German food and beers, alongside the showing of Bundesliga football matches, Oktoberfest events, oompah bands and more. The bar will be opening to the public on August 30th, but five lucky winners will get the chance to sample their offering before most of Bristol at an exclusive invite-only party on Thursday, August 29th. The invite-only Grand Opening between 6pm and midnight on Thursday 29th August will feature oompah music from a genuine German oompah band, Bavarian finger food and free beer and drinks served until midnight. The first keg will also be ‘tapped’ in a tradition known as ‘O’zapft is’ which opens Oktoberfest and which here will signify the opening of Bristol’s new Bavarian Beerhouse. The restaurant will then open to the public from noon on Friday 30th August. As well as the live oompah band on Friday evening, the restaurant will be showing the Bundesliga (German football) SuperCup Bayern Munich vs. Chelsea match. To enter the competition and to have the chance to have guest list entry for you and a friend, simply comment on this post, and the five people giving me the best reason why they should get guest list entry will win! It’s that easy! The competition will close at 6pm tonight (Wednesday 28th). 7 Responses to Win tickets to the launch of Bavarian Beerhouse on August 29th! Hey Emily. Are we supposed to be commenting here? Didn’t see everyone else’s comments! Blonde! Well done whoever won! As a Peterborough fan, I rarely have any enjoyment in my life but after a great win last night, winning this would make this the happiest week of my life. I would like the tickets so I can have a oompah fantastic Thursday evening with a fabulous friend! Make our Thursday fabulous and allow us to be part of the brilliant Bristolian Bavarian Beerhouse launch! Can’t think of anything witty, but the place sounds fabulous and I look forward to visiting soon! Im late for the first but would like guest entry tonight for me and a friend if possible. I am out celebrating the conception of my half German Baby with my Frau from Berlin and me being Bristol born and bred.